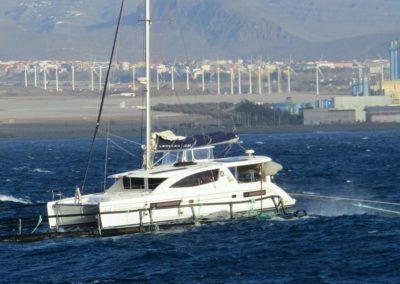 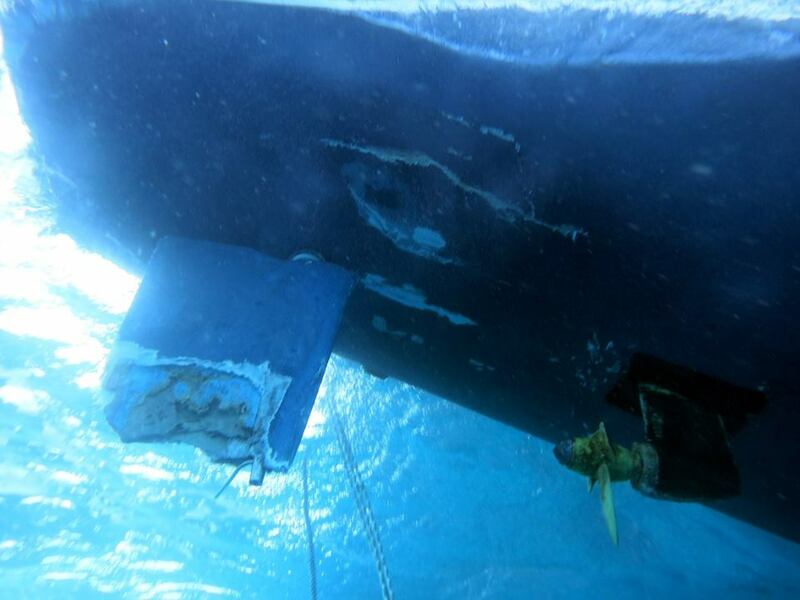 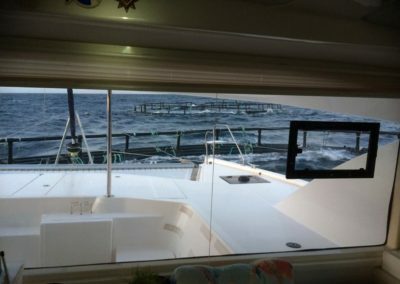 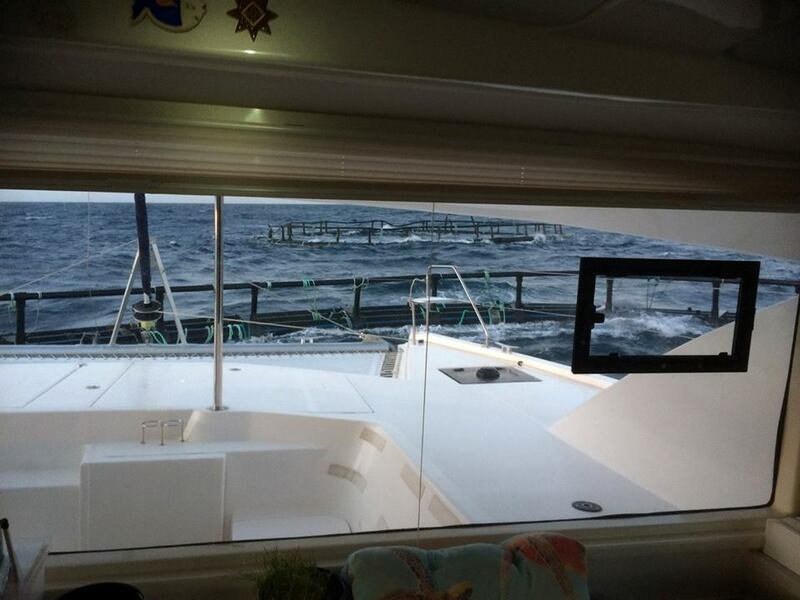 Just Catamarans clients, the Burnetts on board their Leopard 48, MARVIN, ran afoul of an unchartered and unlicensed fish farm in the Canaries. 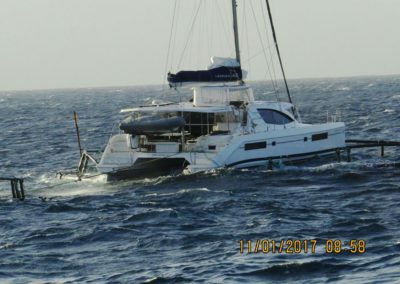 Results were not good. They had managed to sail onto one of the fish farm’s landings which then served as a platform for rescue and operations. 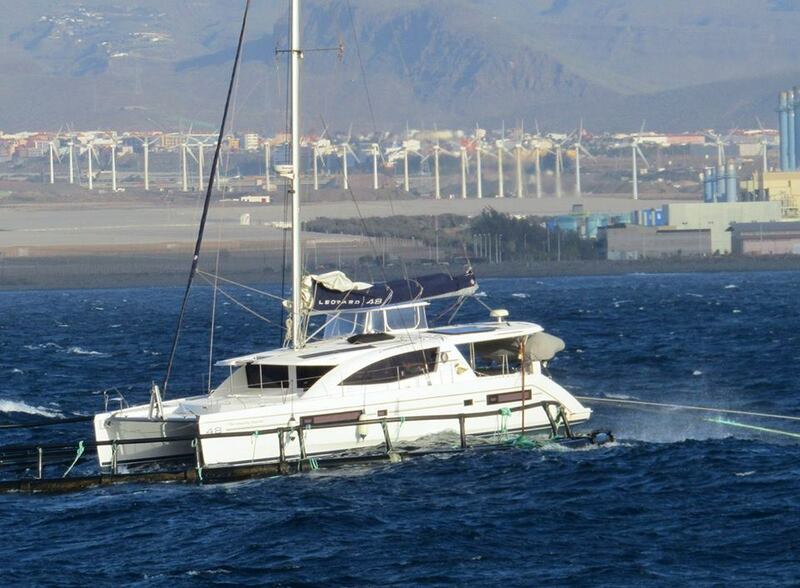 We, at Just Catamarans, are just happy that the family is alive and well.